Is This the ‘Peace in Our Time’ of World War III? Should the world surrender the South China Sea to China? History teaches that appeasing expansionist powers does not bring lasting peace. 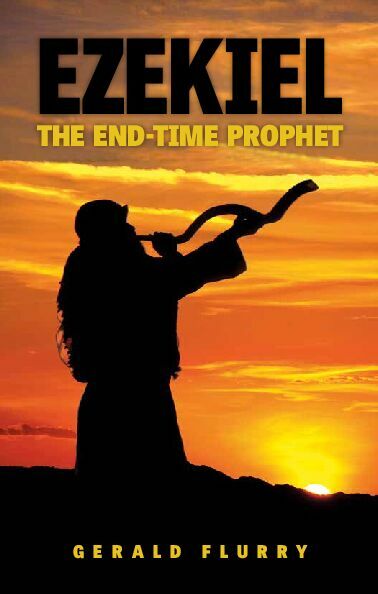 Prophecy shows that this time will be no different. “We cannot win that back,” said Philippine President Rodrigo Duterte in late 2016. He was referring to the Scarborough Shoal, a sizable coral atoll with a reef-rimmed lagoon. The fish-rich shoal lies a short 120 nautical miles from the Philippines coast, placing it well within the country’s internationally recognized territory. 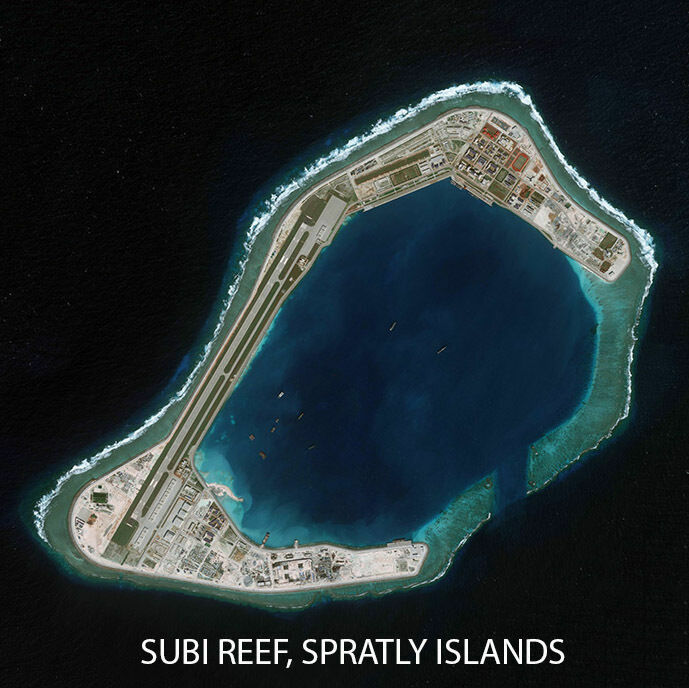 In 2012, China illegally seized the atoll from the Philippines, but not for the fishing. The Chinese wanted Scarborough as part of its “strategic triangle” plan to assert control over the South China Sea. 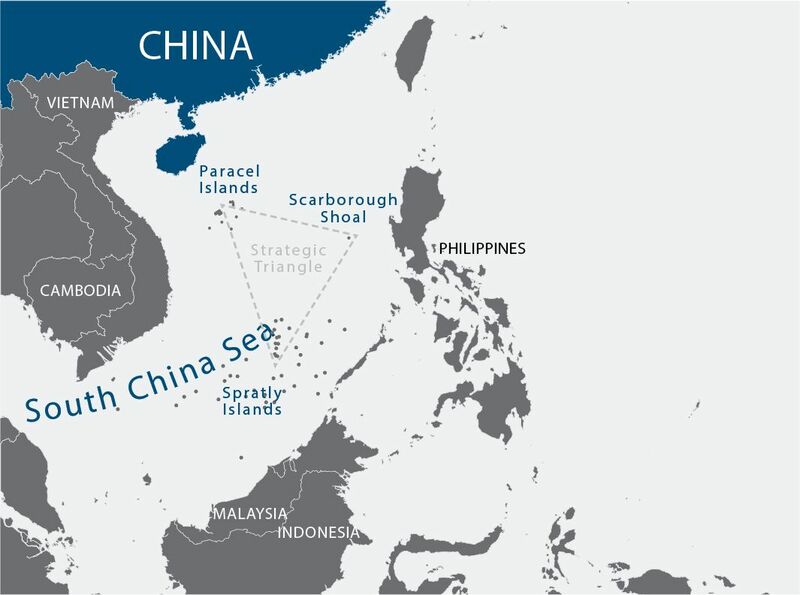 The triangle’s two other points are the Spratly Archipelago and the Paracel Islands. 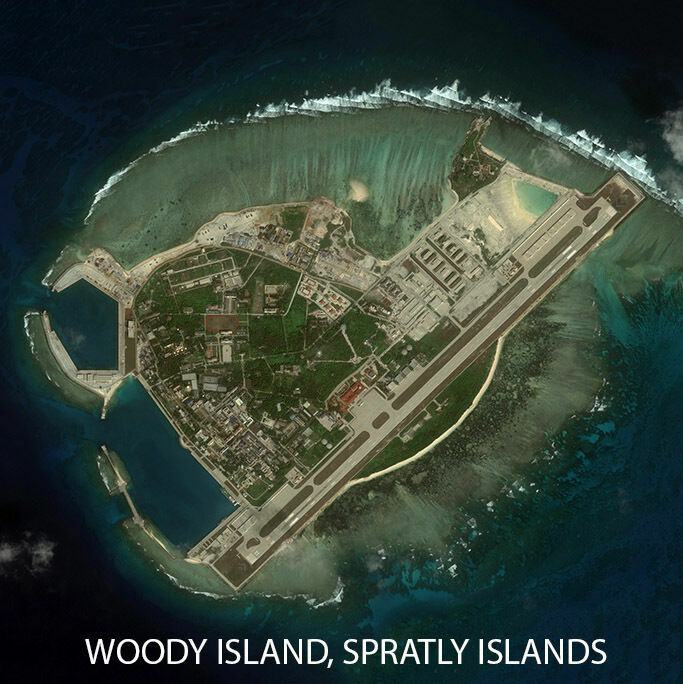 The year after China occupied Scarborough, it started building artificial islands in the Spratly chain. In 2016, it deployed missile batteries to one of the Paracels. The eyes of Asia looked to the United States. How would America respond? Its military has kept the vital trade routes through the South China Sea open since the end of World War ii. China’s aggressive takeovers were in areas claimed by U.S. partners such as the Philippines and Vietnam. Its objective was to control crucial shipping lanes, and a 2016 international tribunal had invalidated China’s claims. But the Obama administration did little more than wag its finger. Conflict with China was unthinkable. So the U.S. let it continue taking over the South China Sea. America’s partners and allies took note of its inaction and grew fearful. “Even if we get angry, we’ll just be putting on airs. We can’t beat [China],” Duterte said. The best the Philippines could hope for now, he said, was to cooperate with China as it extracted resources near Scarborough and other areas that rightfully belong to the Philippines. Meanwhile, China was emboldened by U.S. inaction. It accelerated its illegal island building and quietly continued to militarize more territory. Today it is clear that China’s assault on the freedom of the sea was effective. In the Paracels, China now has a significant military base with missiles, radar, an airstrip, and aircraft including fighters and nuclear-capable bombers. In the Spratlys, China has now created more than 3,000 acres of land on seven reefs that were previously wholly or partly submerged. On these new islands, China has deployed anti-ship cruise missiles, surface-to-air missiles and airstrips accommodating fighters, bombers and cargo planes. And twice in the last year, in a clear demonstration of China’s power over the sea, it successfully coerced Vietnam into halting major oil-drilling projects in waters that international law says are Vietnamese. Scarborough Shoal is the last part of the puzzle. So far, China has not converted the atoll into a militarized island. But China maintains tight control over it and could rapidly transform it into a base if it decides to. This would complete the “strategic triangle” and give China monitoring, policing and strike capacity across the 1.4 million-square-mile South China Sea, almost all of which China claims as its own. Such capacity could allow China to establish an air defense identification zone over the sea, requiring foreign aircraft to obtain Chinese permission to fly through the region. Even more important is the fact that trillions of dollars in goods sail through the South China Sea each year on the way to and from some of the most populous regions on the globe. Almost 60 percent of Japan’s and Taiwan’s energy deliveries, 60 percent of South Korea’s energy, and 80 percent of China’s crude oil imports transit this waterway. Altogether, around 21 percent of all global trade passes through the sea. To understand how alarming it will be for authoritarian China to close its grip over “the world’s most valuable artery,” one needs look no further than to Xinjiang. There the Chinese government uses Orwellian surveillance, an unaccountable state security apparatus, a near total media blackout and “thought control camps” reminiscent of the Moaist era to assert tight control over people who would prefer to be a separate nation. James Laurenceson, deputy director of the Australia–China Relations Institute of the University of Technology, seems to agree with this logic: “[I]f China were able to block the South China Sea, the impact on economic growth in other countries is likely to be small,” he wrote on June 4, 2017. This myopic rationalizing sounds extreme. But it may not be far removed from the reasoning that prevented the Obama administration from acting against China’s grab of Scarborough or its militarization of the Spratly Archipelago and the Paracels. However, by failing to confront these illegal behaviors early and decisively, America showed that it was willing to potentially sacrifice “a bunch of rocks” in order to avoid conflict with China. It showed that the South China Sea was a price the war-weary U.S. was willing to pay to keep the peace. History rebukes such reasoning. Yielding territory to expansionist powers does not bring peace. “An appeaser is one who feeds a crocodile, hoping it will eat him last,” Winston S. Churchill famously said. Before Churchill became prime minister of Great Britain, he had witnessed political leaders attempt to secure peace by appeasing an expansionist nation. On Sept. 30, 1938, leaders of Britain and France signed an agreement allowing Nazi Germany to annex the Sudetenland. This region of Czechoslovakia was of vital strategic importance to the nation, since the bulk of its border defenses and industrial centers were situated there. Czechoslovakia was an ally of France and Britain, but Hitler had threatened to take the Sudetenland by force. British and French leaders sought to avoid a repeat of World War i at all costs. They thought that by giving the Sudetenland to Germany willingly, the provocative Nazi regime would be placated and conflict could be avoided. After returning home from the historic signing ceremony, British Prime Minister Neville Chamberlain proclaimed: “I believe it is peace for our time,” and told the crowd at the airfield and those listening to the broadcast, “Go home and sleep quietly in your beds.” The U.S. administration of Franklin D. Roosevelt supported the agreement, and Gallup polls in the U.S., Britain and France found that the majority of people in all three nations supported it, too. But the deal was a sham. In the spring of 1939, the Nazis took the rest of Czechoslovakia. In September they invaded Poland, and Britain and France had no choice but to declare war. World War ii had begun. By the time it was over, more than 60 million lives had been lost in the deadliest conflict in human history. Mr. Flurry answers: The leaders “lacked the courage to face the brutal truth” about Adolf Hitler’s dark ambitions. “Most leaders in the U.S. and UK lived in a weak world of illusion,” he writes. 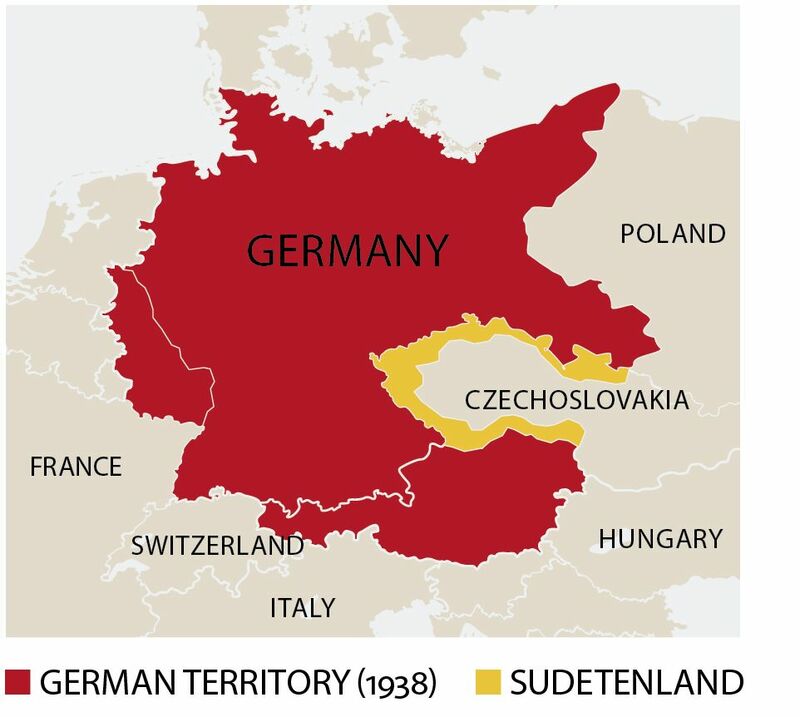 The Sudetenland situation before World War ii differs from the South China Sea controversy today. But in both cases, the United States and other world powers are allowing an expansionist power to grab strategically valuable territory in hopes of keeping the peace. It is true that U.S. President Donald Trump has begun to take a somewhat firmer stance against China’s expansionism. He has increased the tempo of U.S. military patrols in the South China Sea, including a recent operation that sailed a guided-missile cruiser and a destroyer past the Paracels. But like Obama, President Trump has declined to confirm that America’s mutual defense treaty with the Philippines includes its territories in the South China Sea. Bible prophecy shows that America’s measures to stand up to China are too little, too late. 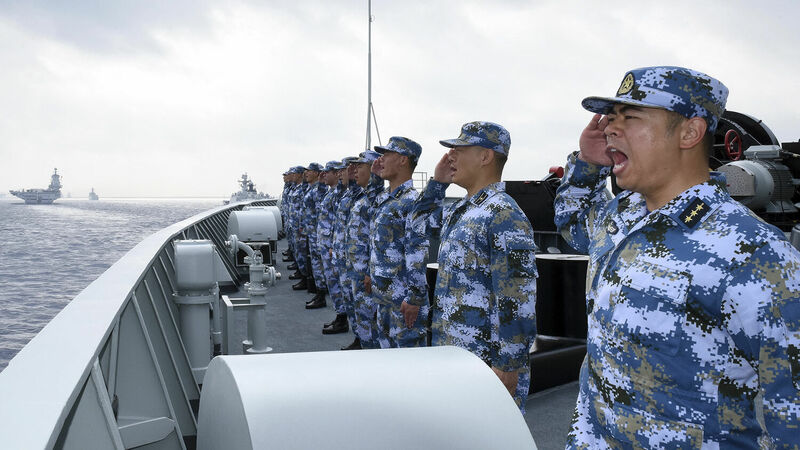 It forecasts that American resolve will not last, and that China will keep tightening its grip on this vital sea to the detriment of global peace. Mr. Flurry’s understanding of the South China Sea dynamic is founded on the sure word of Bible prophecy. In the book of Deuteronomy, God issues a warning to the people of Israel, explaining that if they reject Him, He will hand control over the world’s strategic sea gates to their enemies. The warning says that these enemy nations would then use that control to besiege the nations of Israel: “And he shall besiege thee in all thy gates, until thy high and fenced walls come down, wherein thou trustedst, throughout all thy land …” (Deuteronomy 28:52). America’s failure to confront China as it tightens its grip on the South China Sea is leading to the fulfillment of this prophecy. This points to some dark days in the near term. War is brewing—here is how to find hope. There is a purpose and a plan to China’s rise. To find the inspiring hope connected to these troubling headlines, request Gerald Flurry’s free book Ezekiel: The End-Time Prophet.